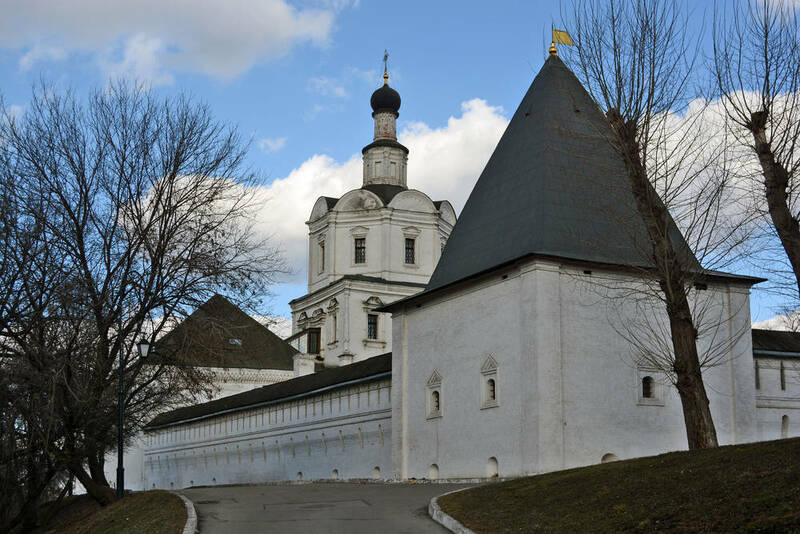 The Andronikov Monastery of the SaviourRussian: Spaso-Andronikov monastyr, or Спасо–Андроников монастырь, one of Moscow’s oldest monasteries, is home to Andrei Rublev Museum of Old Russian Art and CultureRussian: Muzey drevnerusskoy kultury i iskusstva imeni Andreya Rubleva or Музей древнерусской культуры и искусства имени Андрея Рублева. 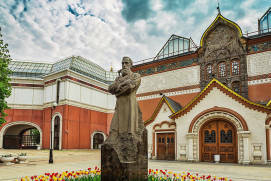 The museum’s collection hosts 11th-19th-century Old Russian artifacts, with a special focus on icons, the oldest of them dating back to the early 13th century. 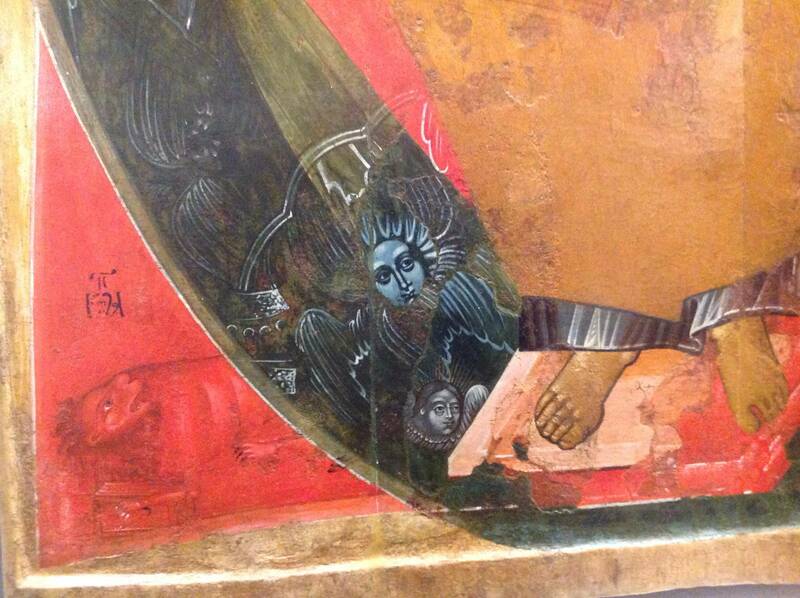 One can also see fragments of monumental church murals, carved wooden sculptures, various cult objects, and much more. 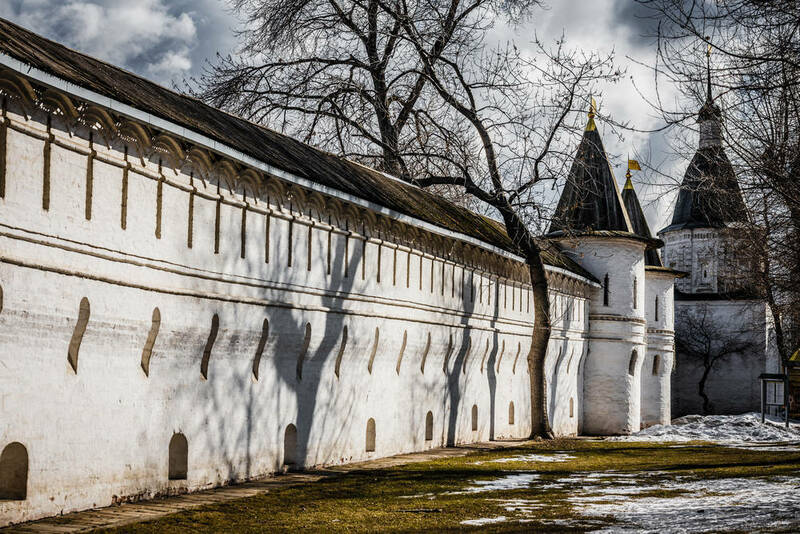 Today the monastery is no longer active, and one won’t see a large flow of visitors. This place is steeped in an atmosphere of peace and tranquility. Time seems to have ground to a halt here. 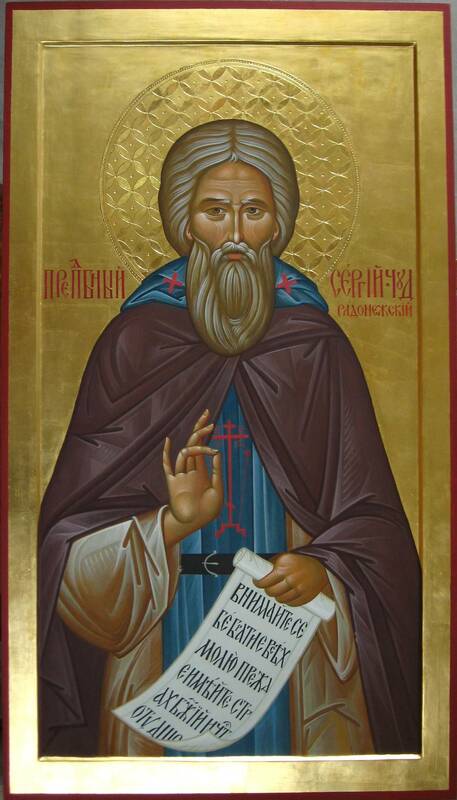 Saint Andronik, one of the disciples of St. Sergius of Radonezha spiritual leader and monastic reformer of medieval Russia. 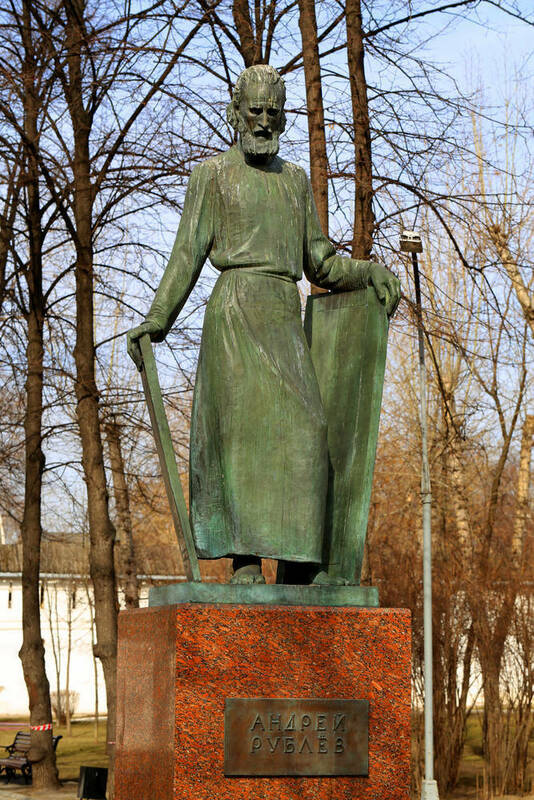 The name of Andrei Rublev is forever associated with the monastery: this great medieval painter spent the last years of his life at the monastery and was buried next to the Cathedral of Christ the SaviorRussian: Spassky sobor, or Спасский собор. 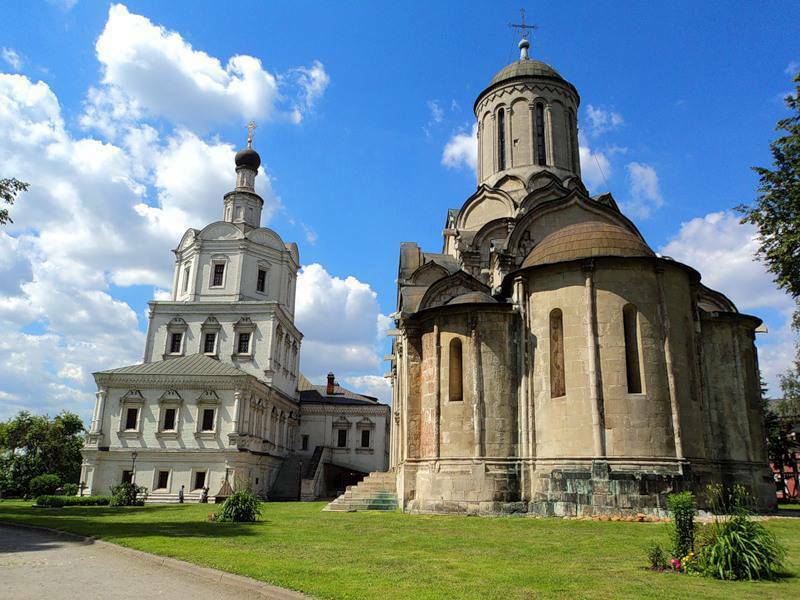 This early 15th-century cathedral has even preserved its original frescoes painted by Rublev. 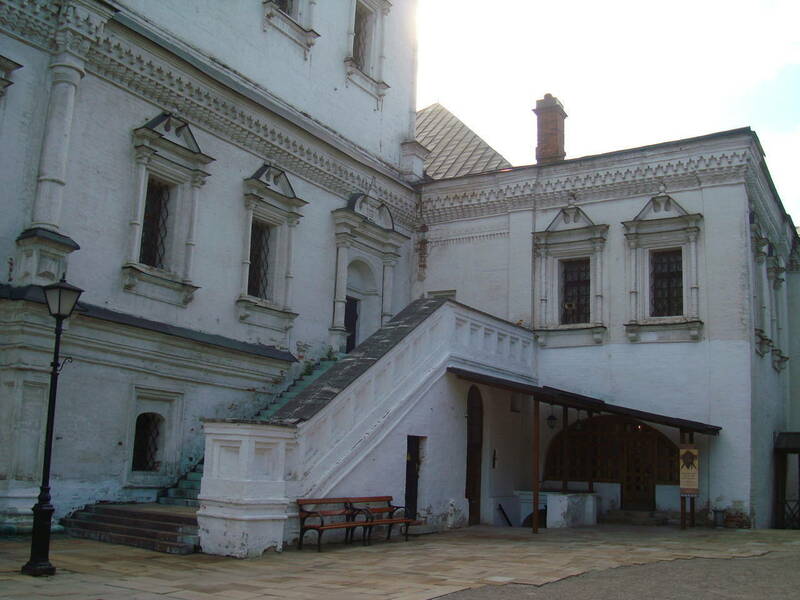 The monastery enjoyed its heyday in the later years, when a manuscript copying workshop functioned on its premises. 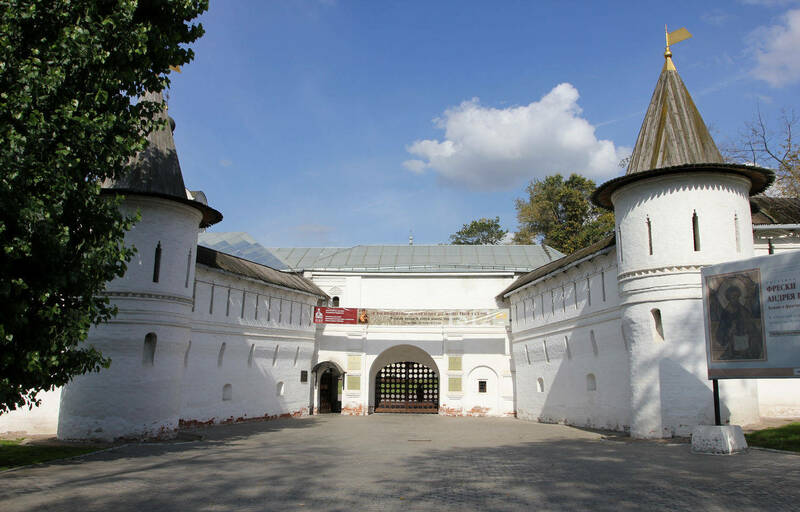 Historically speaking, this place was a major Russian cultural centre in the medieval period. 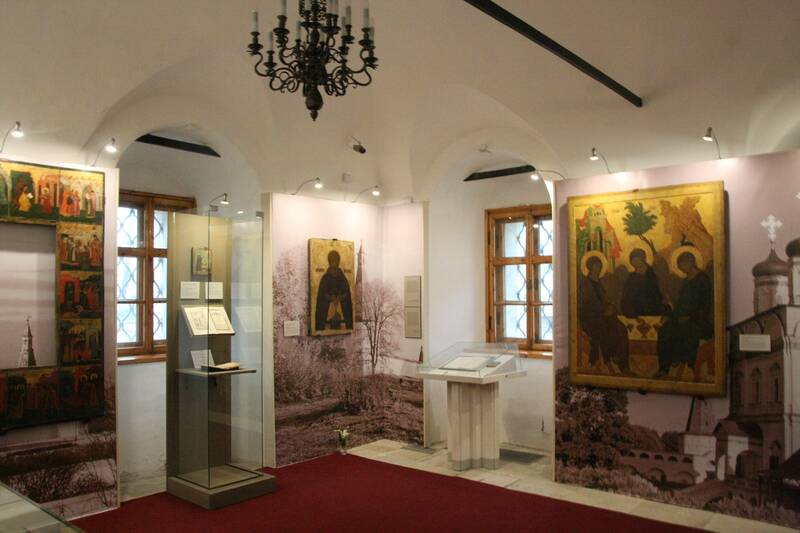 Archaeological findings in the monastery’s lands are now part of the museum’s collection. 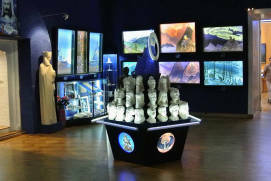 Carved stone fragments and Andrei Rublev’s fresco pieces that once adorned the Cathedral of Christ the Saviour are now on display in the museum. 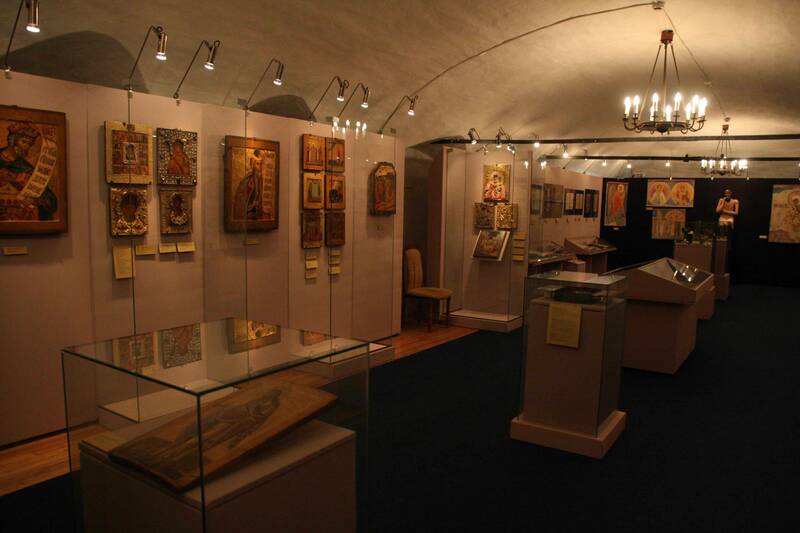 The idea to create a museum of religious art emerged in the aftermath of the Second World War. 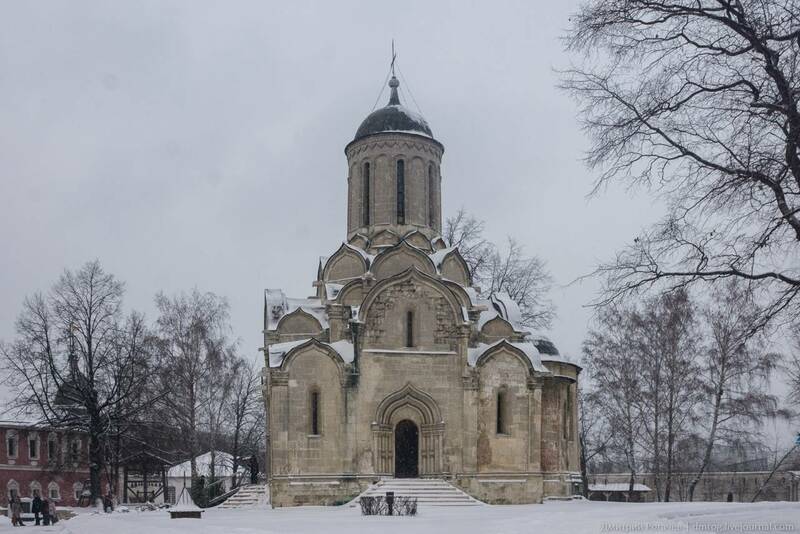 During the years of Stalin’s fight with religion and the devastating war, a great many Orthodox churches in the Soviet Union had been looted or badly damaged. 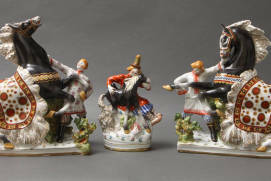 The museum staff painstakingly restored the remaining works of art and searched for other artifacts. 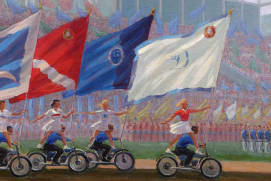 The museum’s solemn opening took place in 1960. 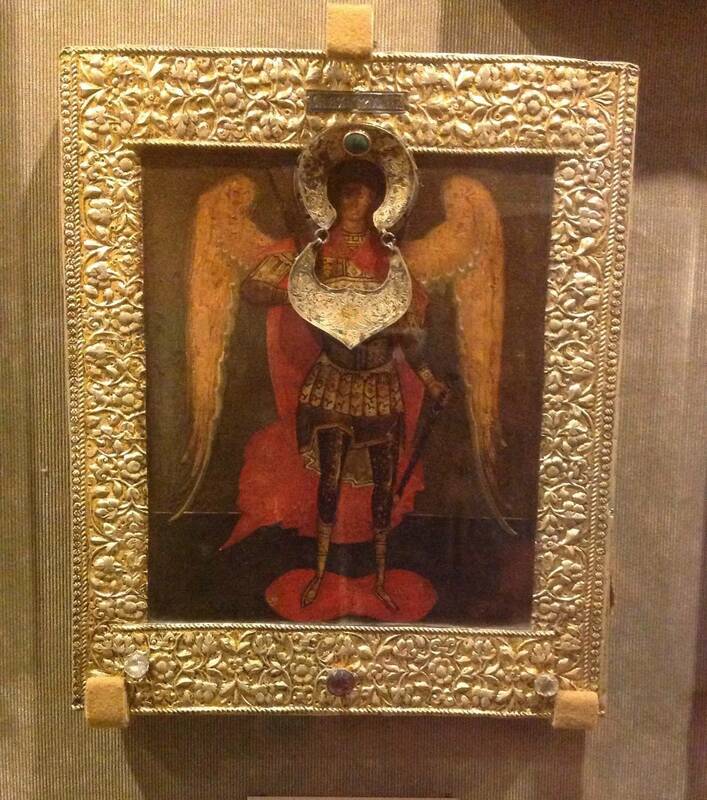 Its collections are now on view to the public at St. Michael’s ChurchRussian: tserkov Sv. 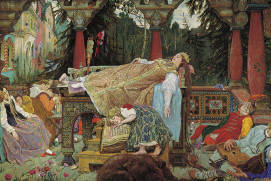 Mikhaila or церковь Св. 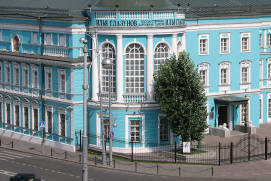 Михаила and in the former refectory. 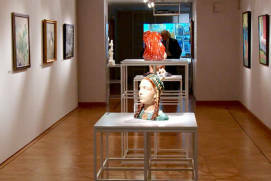 At present, the museum hosts over 5,000 pieces of art, and this number is steadily growing. 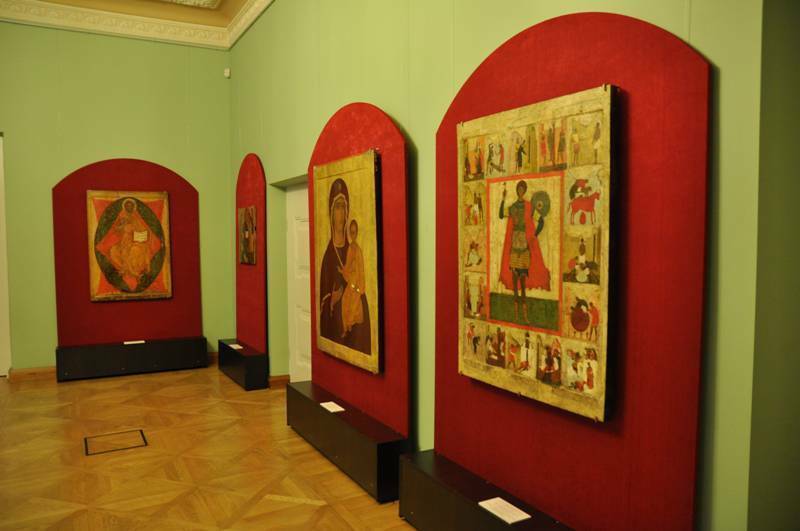 The museum displays works by icon-painters from all major medieval Russian cultural centers, such as Moscow, Yaroslavl, Uglich, Pskov, Tver, Kostroma, Rostov and Suzdal. 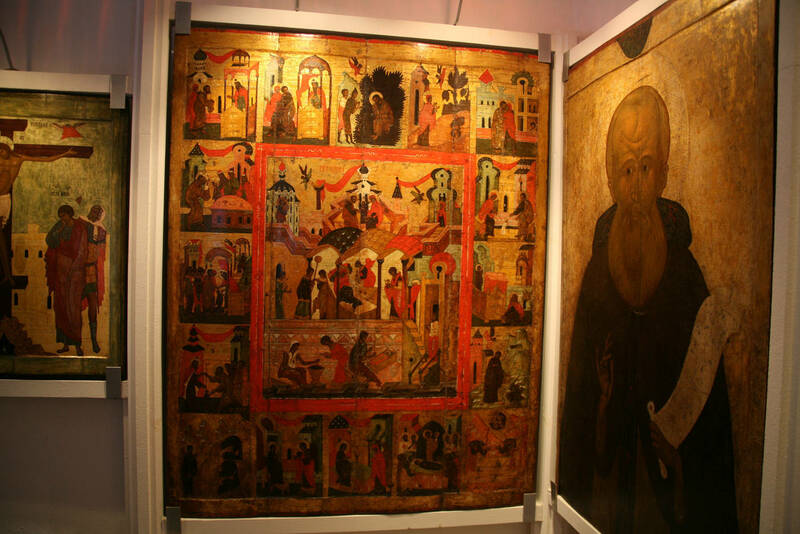 The collection of icons is divided into two periods: icons dating back to the 12th-early 16th centuries and those dating back to the 16th-early 18th centuries. 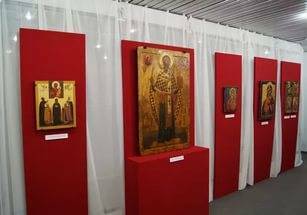 The oldest icon in the collection is a 13th-century depiction of Christ Pantocrator from Yaroslavl Oblastit is a federal subject of Russia, which is located in the Central Federal District. 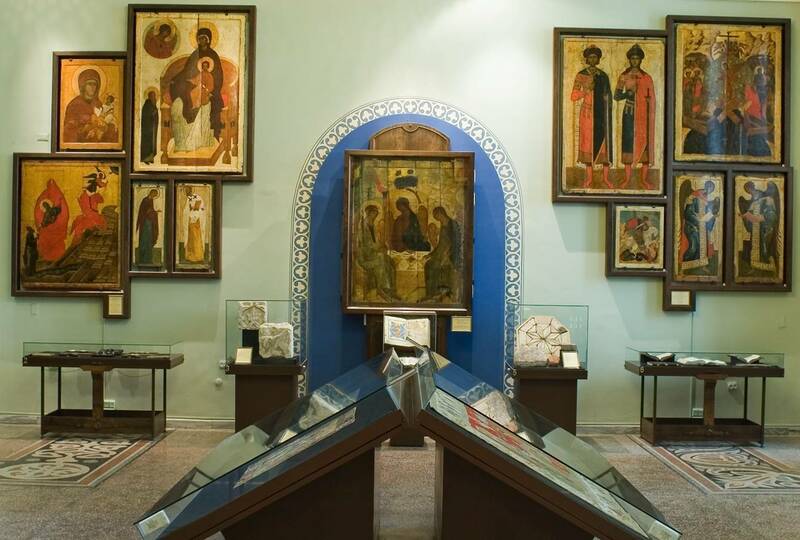 Visitors to the museum are offered a rare opportunity to see an icon painted before the Mongolan East-Central Asian ethnic group invasion of Rus’ in 1237. 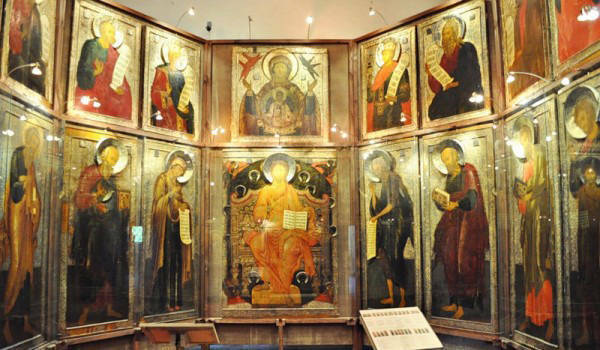 Some of the 14th and 15th-century icons are considered by art historians to have been painted by Andrei Rublev and Dionysiusa head of the Moscow school of icon painters at the turn of the 15th and 16th centuries themselves. 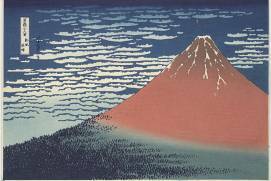 Although their authorship has not been proved in every case, the fact that their artists have not been confirmed has no impact on the artistic value of these fascinating icons. 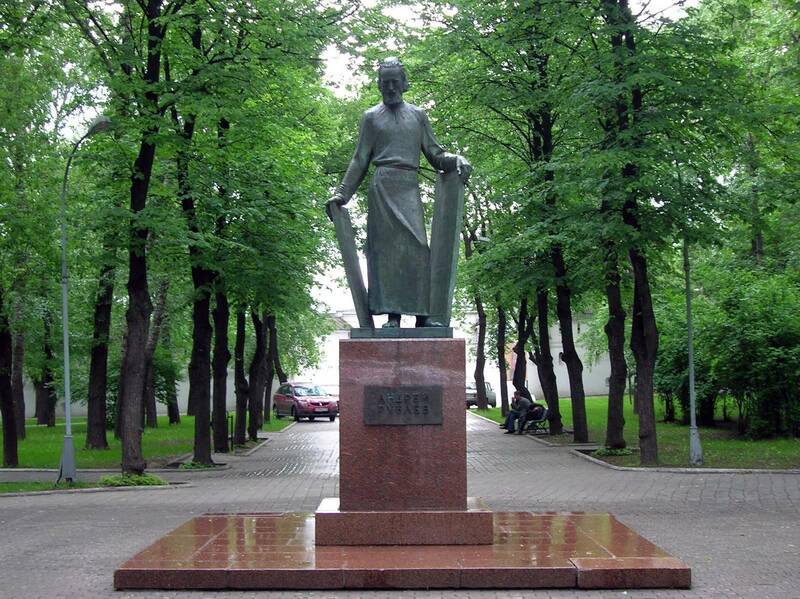 This sight is located far away from the city center, and it is comfortable to use a taxi to reach it. If you are interested in taxi Moscow rates or How taxi in Moscow works, you can read about it on our website page “Taxi in Moscow”. 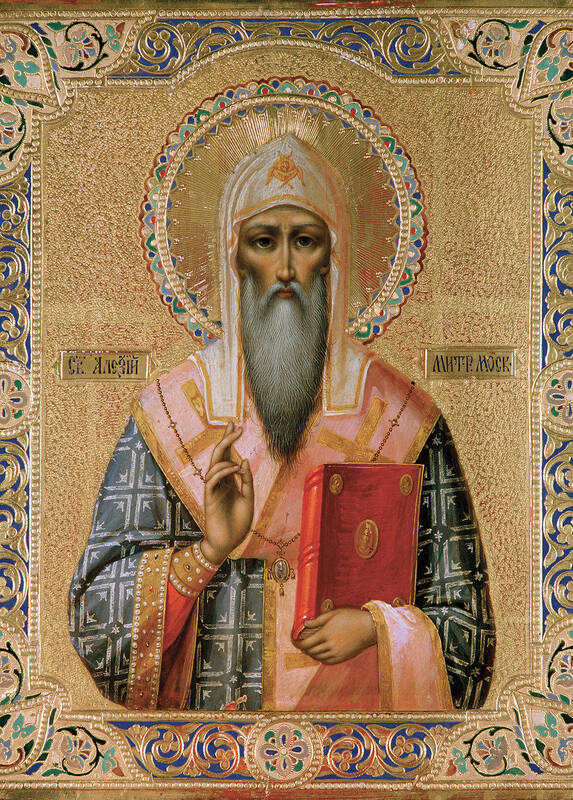 An early 18th-century iconostasis from the (no longer existing) Church of the AnnunciationRussian: Tserkov’ Blagoveshcheniya, or церковь Благовещения in the town of Yuryevetsa town and the administrative center of Yuryevetsky District in Ivanovo Oblast is another outstanding item on display. 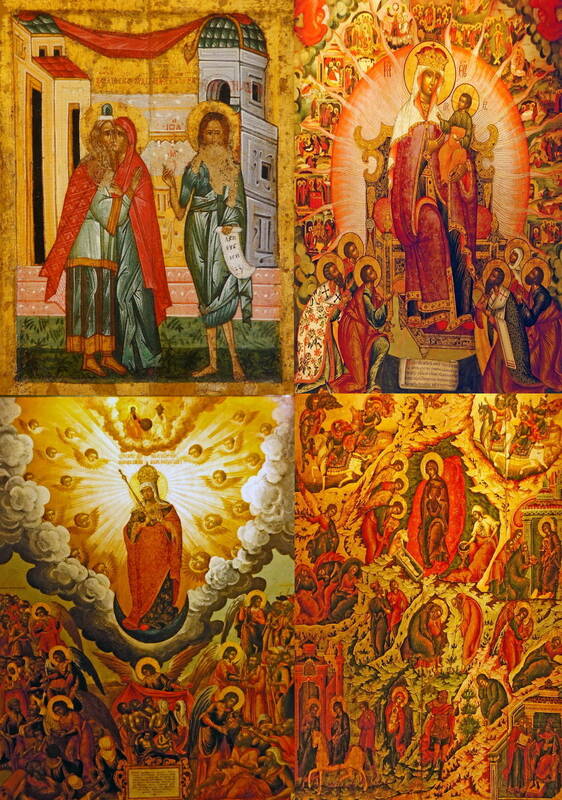 In the Orthodox tradition, church walls were usually covered with frescoes, and the iconostasis was made up of icons painted on wooden boards, whereas the five-tier iconostasis on display has frescoes, i.e. 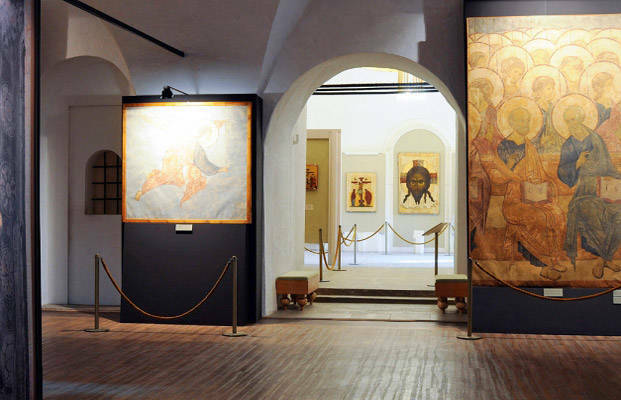 paintings on wet plaster, instead of traditional icons. 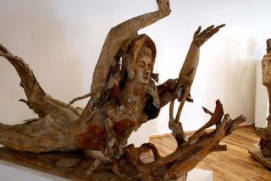 In addition to paintings, the museum features wooden sculptures and decorative and applied art. 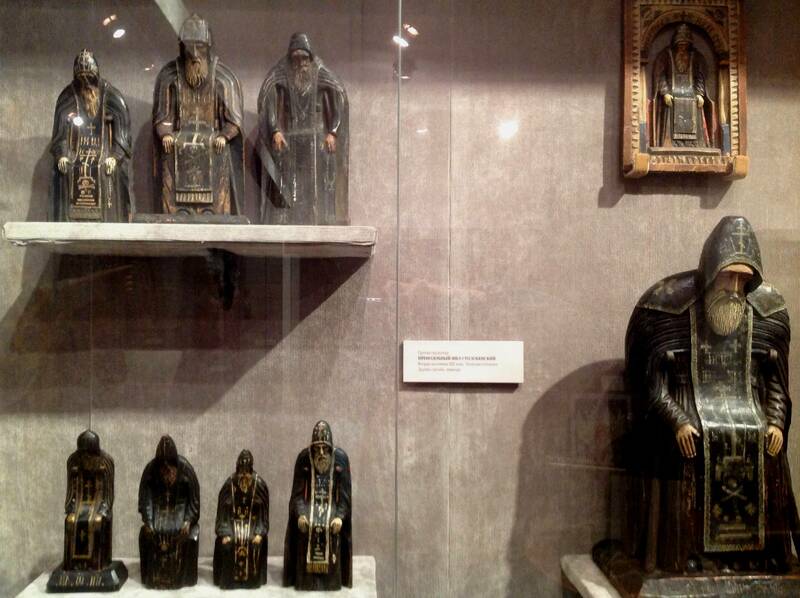 Medium-sized wooden figures of saints were likely used either as church interiors and, particularly, iconostasis decorations or as objects of prayer. 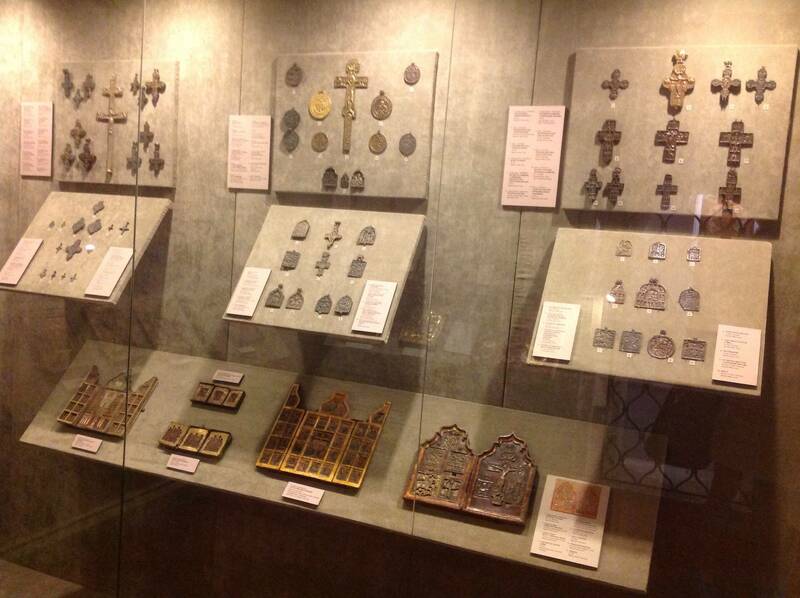 Crosses and small portable icons from the museum’s decorative and applied arts collection, which were created with the use of bone and wood carving techniques, are also worthy of mention. 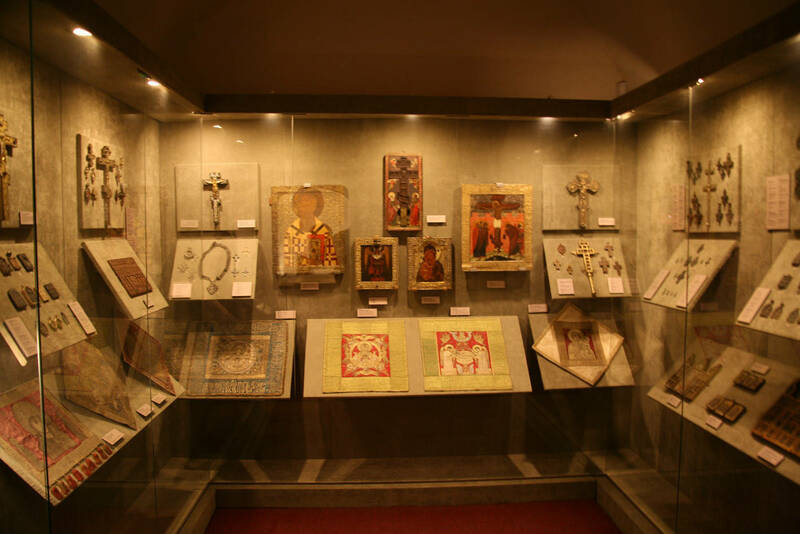 Some icon frames and crosses are made of silver, and some articles are further decorated with enamel and inlaid with pearls and precious stones. 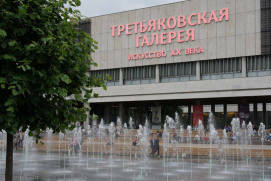 From 100 to 400 rubles, depending on visitor category and programme of visits. Photo and video filming is paid separately. 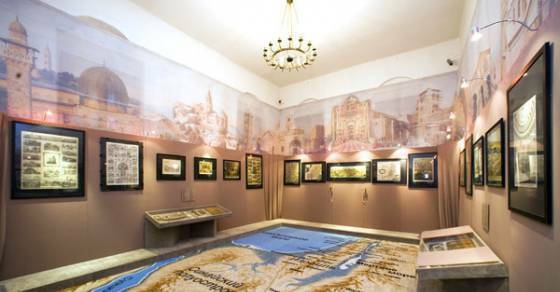 The museum organizes master classes and interactive activities. 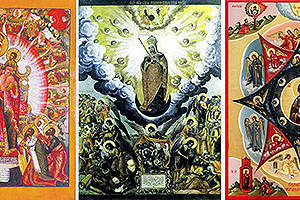 I never thought that icon painting is so interesting and educational. 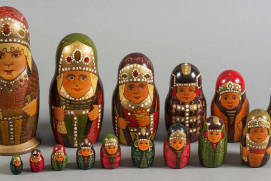 One can feel the spirit of Russian antiquity in every room. 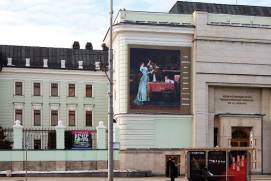 Outside the building is small, but inside there are three floors, different displays. 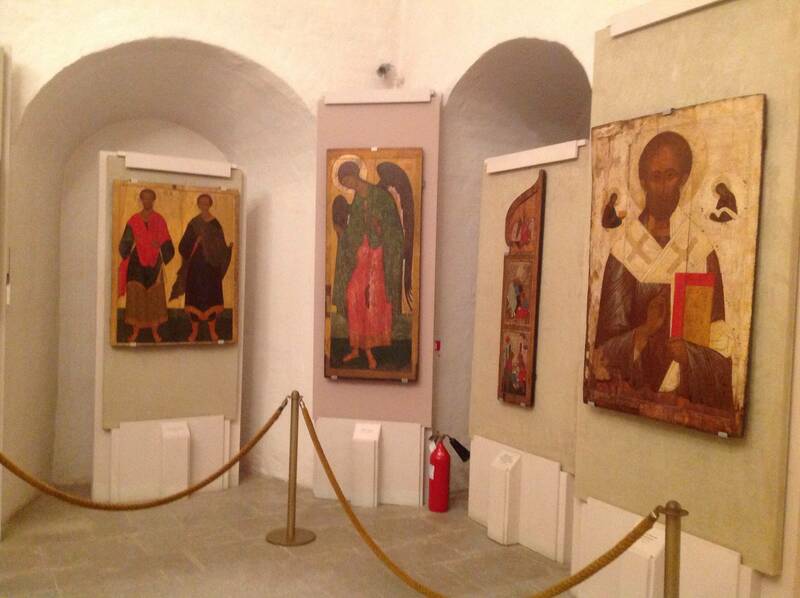 There are not only icons and paintings, but also expositions showing how icons and engravings have been created. A great place and an excellent museum of positive energy and good vibes! 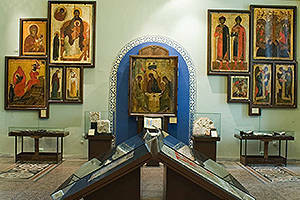 Visiting the museum, walking around the territory of the monastery, you feel like you are just overwhelmed with energy! You feel like moving the mountains! The museum is interesting. 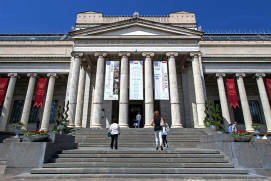 There are many unique icons, thematic exhibitions. 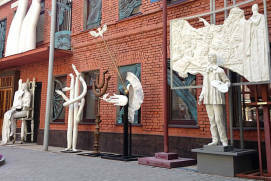 It's very interesting for foreigners - this museum is a must-see in all foreign guide-books to Moscow. 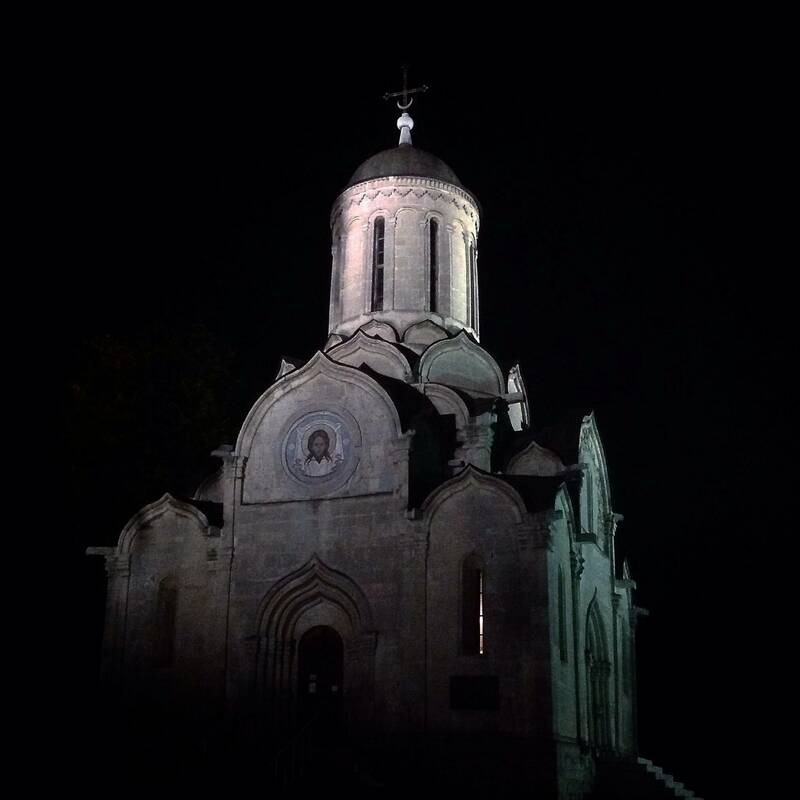 This is quiet, beautiful place. 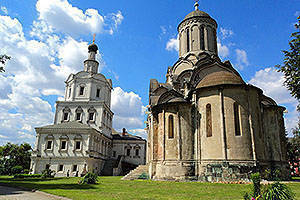 The magnificent Spassky Cathedral of the 15th century, the frescoes of Andrei Rublev, beautiful ancient icons. I recommend it to everyone who is interested in Russian history and art.